This growth blog will be a bit different from the previous months. In the past few months, we’ve seen a lot of changes happen in Hacker Lab Rocklin and we opened a new site, Hacker Lab Rancho Cordova. Changes have been happening at Hacker Lab Sacramento as well - just ones we can’t really show you yet. We’re writing this blog in hopes that you, our community, are willing to be open and provide us with some personal insights on where you envision Hacker Lab Sacramento in the near future. We’re going through a bit of an internal debate on what should happen to Hacker Lab Sacramento. To give you guys a bit of history, we’ve been looking at buildings since the end of the last year - knowing that our 5 year lease would be up in quarter 3 of 2018. Well, we’re here in quarter 3 of 2018 now. We’ve been thinking about neighborhoods, individual buildings, partners and building owners, and how these factors would best support our core services. We want take you guys through several options. Let us know what you're thinking, where you’re thinking, and why. Help us by answering one or more of the questions below. Please leave us your answer in the comments section. Which neighborhood is your favorite and how could Hacker Lab benefit from being there? To downsize or grow? Would a bigger Hacker Lab (with more services like a cafe or shop), be more successful or a smaller Hacker Lab (with fewer services - makerspace focused), be more successful? Which neighborhood and building do you think would work best for Hacker Lab? It could even be a neighborhood or building we didn’t mention below. One of the main reasons I do not use Hacker Lab at this time is because of horrible parking and limited accessibility of the current building. More people will join if parking doesn't remain a disaster and all classroom/office locations become accessible. My vote would be for the Dos Rios Triangle area, plenty of parking. With the rent being below market, it gives Hacker Lab more money for more equipment. can't have too many tools. We have two votes already for Dos Rios Neighborhood. Martha or Alison, could either of you describe the value that the neighborhood would provide Hacker Lab if we were to relocate into that area? 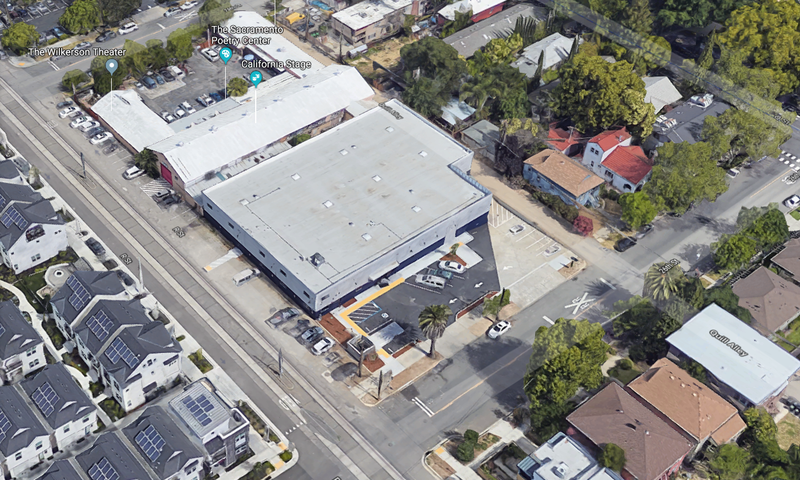 (minus the obvious for parking) Buildings in that neighborhood run old and industrial, so they would require a huge sum in tenant improvements, but also the neighborhood has no nearby resources such as: public transportation, food facilities, bike lanes, or even sidewalks. It would definitely benefit a purely driving crowd. This neighborhood is definitely on our list, as demonstrated in the blog - so we're just looking for further insight. I love the offices - coworking is great but sometimes I need to spread out and visualize things. HL should keep office space IMO. Would love to see a space that continues to support event/class/meetup space sized for 25-40 people. We've had to shuffle around things like SacRuby to other locations for larger events in recent years as it has become harder to hold them in the current facility. We do get strong feedback that the dev community that comes to these kinds of meetings and classes prefers to do so in Sacramento proper. Parking becomes critical as people come in from the outlying areas and lack of parking options some nights in the current neighborhood has turned people away. Nearby food is nice, as we often have sponsors pay for food/drink and it is easier to support local establishments for people coming after work. My member background: 2 year member, midtown resident & use HL 90% for the makerspace. My opinion... Parking: I am not generally affected by the limited parking since I usually park along the backside of HL in the alley. 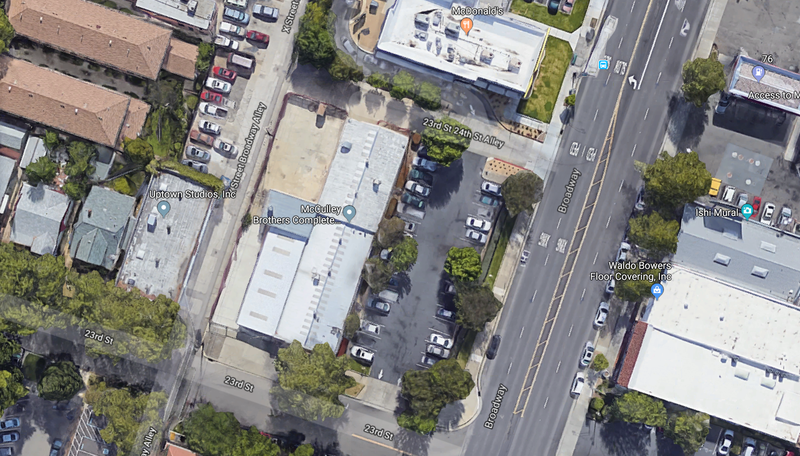 With that said, If parking is a principal issue with the current location, is there a possibility to negotiate a deal with one of the office buildings across the street to use their parking lot for overflow parking? Seems like that would be a more cost effective avenue than relocation + a full tenant improvement project. Location: HL's current location can't be beat - its centrally located in Sactown's most walkable, vibrant and active district. Aside from the R street space as a backup, the rest of the locations are terribly located (not sure how Dos Rios even made the list for consideration?!). In all reality, the immediate highway access of the Broadway options dont make much of a time difference for drivers to access HL versus the current location (maybe 5 mins max) and the walkability to the Broadway options from the remainder of the the city doesn't even compare to HL's current location. As for safety, the current HL location & R Street are by far the best options. Space: Given I'm not privy to HL's long term vision/expansion for its main Sacramento location - but from my perspective, the current space is sizable enough to house it's existing member size & for a steady growth in members for years to come. I dont see an issue with the current location's size, rather in the way it is set up. I voiced this opinion soon after joining HL in 2016 & still stand by that suggestion. By reallocating space, equipment and use re-prioritiziation, the current location's space would be perfect. R Street: For me, this is the only location option I see as viable. 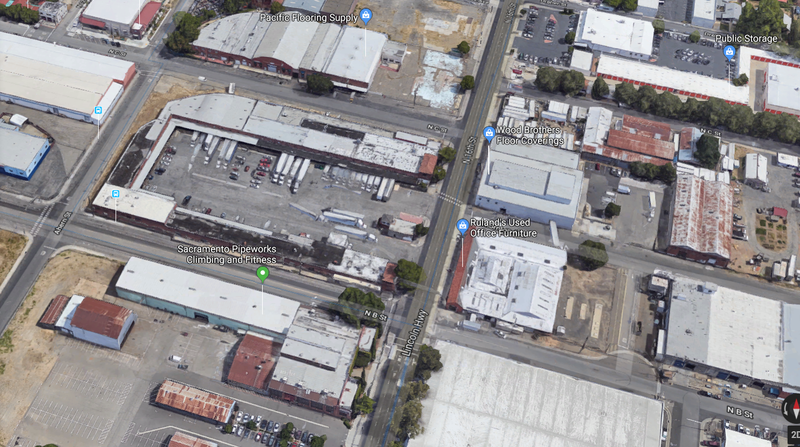 It's still a semi-good location (yet, still far from downtown + west sac residents), is a fairly safe walkable area, has plenty of parking, only requires a small improvement project and offers a some more space than the current location. However, will the increased 1.5× rent and improvements affect membership costs? If so, I believe HL will be approaching/surpass the threshold of pricing out many current and prospective members. In just the past month, I've run into several former members at festivals who said they had to leave HL over the last price increase. Again, I'm not privy to the future vision of HL & so if the direction/sustainable profitability is towards increasing non-member classes revenue and an acceptance of a higher turnover/short-term membership base - then R Street is a good backup to the current location. Overall, My vote is to stick with HL's current location but to reorganize it to better fit what it has evolved into today. The only caveat I see with the current location is obviously the parking issue, which I addressed above. Lastly, I just want to give a shout out to the management team for opening up this discussion to its members for our feedback! Cheers, Michael R.
I like DOS RIOS TRIANGLE. I like that it is close to the current space on I Street. The Dos Rio Triangle location is easy to get to from downtown or even the surrounding suburbs. My only concern would be in the evenings and at night. It seems a little crime ridden. Either way, the current community near Dos Rios Triangle will only be enhanced by the addition of Hacker Lab. So, if crime is somewhat of an issue, having your business there will only enhance the area which could resolve any possible worries. I'm most excited about the addition of space and square-footage. And, Hacker Labs values to the community seem to fit well here. current location, broadway, or R St would all be great to continue HL's high walkability/bikeability and availability of nearby food services. If Hacker Lab moved to Dos Rios Triangle I wouldn't attend evening meetups because of the danger of riding bike there, and meetup space is the service I find the most valuable. Thanks! I totally agree with Sierra. If you don't live in Mid-town the biggest negative to the current space is the lack of parking. If you want to draw in more people you will need to attract people from the larger geographic area and that means people driving in or using public transportation. That is much more important than the availability of food nearby. Staffing an on-site café would be difficult until you have a critical mass of people for some period of the day AND you will have the issues of he special permits required to sell food. It would be nice to have that as an option down the road, so look for a site that could allow for it, but not as a make or break now. Parking and more space - the ability to separate metal working, wood working, photography and computers is a big issue too. Metal dust in the wood area and wood dust in the metal area don't mix well...and neither is good for computers or photography equipment. I use the coworking space, classes and makerspace. I would be thrilled with R STREET- it’s a nice middle ground option, more space, more parking, central; A bit more expensive so I assume membership increases. I’d be willing to pay a small increase to keep it close and in a safe area (I’m not at all into the idea of going out to Dos Rios Triangle everyday). I'll shoot you guys an email with the rest. Thanks for sharing! I'm from out of the area so restaurants, biking, public transit have no value to me. I don't see a cafe working. Parking is the number one area for improvement. (Broadway 2 is out) After that where can we get the most space for the money. Below market rent stands out but that has to be balanced against the improvement costs. Between R street and Dos Rios Triangle it's a matter of crunching the numbers reduced rent vs build out cost which makes the most sense. Although I don't use private offices more of them could mean more income and offset the rent for increased space. For best location I like Power in. Also the most space although there's no indication of the cost increase. I think that would be the best if we can afford it meaning if we could bring in more memberships perhaps or rent more offices to offset the cost without raising rates. Hello HL community; This is a good first step - Why not take the log-in data of all the folks that actively use the downtown location and ask them - another method would be to geolocate all of the active users and see where these folks live in relation to the suggested locations. I am a retired real estate appraiser/broker (34 years experience) - does HL management need any help with this? NO COST = fun for me! I like the idea of Dos Rios. Yes the neighborhood is rough, but it is also being re-developed. The low income houses are being torn down to be replaced with "mixed income" housing (don't get me started). It is nice that is is close to my office, but I would also like to see something near pocket/greenhaven. You would also compete with http://www.makerhq.org/ near Broadyway if moving there. My vote is for DOS RIOS TRIANGLE -- there's more space and more parking. Current midtown parking situation is a joke. I think the café should be a LOW priority. Focus on what is needed like ensuring all tools are functioning properly for members. Without good equipment there will be no members. And move those laser cutters and computers out of the wood shop finally -- all that dust cannot be good for the longevity of the equipment. Hi Stephen, The current Midtown facility does separate the Photography Studio, Computer Lab, Electronics Lab, Jewelry Studio, Dark Room, and Makerspace (Wood Shop, Metal Shop, Laser Cutters). It is a goal of ours that in the future, we would definitely separate the Metal Shop and Wood Shop if the space permitted - i.e. keeping them in separate spaces. As we already serve the Rocklin/Roseville region, and the Rancho Cordova/Folsom Region with our other locations, which neighborhood in Sacramento do you find to be the most conveniently located? This could include driving access, walking access, biking access, and public transportation. I mainly use the makerspace when I'm at HackerLab. Personally, the Dos Rios option with plenty of parking and space to work in sounds great. It's a rough neighborhood and doesn't feel very safe at night, but maybe HackerLab's presence there will have a positive effect. 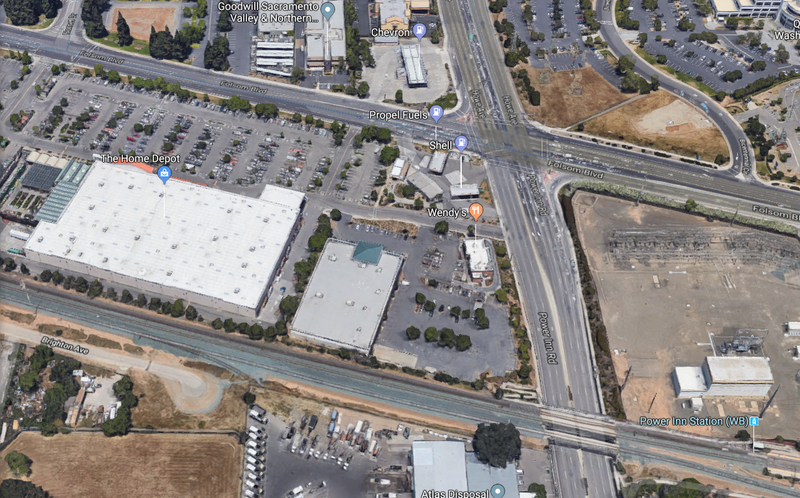 My least favorite option is Power Inn Road because it is so close to Rancho Cordova where the new Hacker Lab just opened. Seems like the other locations are close enough to Midtown to be convenient for current HackerLab Sacramento members. No to DOS RIOS TRIANGLE, there is a reason for the below market rent. Of the remaining sites, R STREET CORRIDOR appears to have the best access for a variety of transportation. R Street would be awesome! Great access, parking, bike friendly, safe (relatively speaking) and close to restaurants. Sacramento is large compared to the small faction served by foot and bike access. When the next lease is up, will you regret choosing a place without enough space, utility service, and parking in favor of a bike path and a cafe? I would need to know what the utility situation is in order to have a preference. Electrical service, lighting, water, sewer, bathrooms? I hope it is not a bare warehouse with limited infrastructure? Is the roof insulated? 3x space. 3x rent. Go big.